Micromax Technology offers simple and reliable Ethernet to fibre media converters to extend your link to greater distances. We provide both managed and unmanaged media converters, PoE and FTTX products and mode converters – all of which are easy to organise and maintain. The Ethernet switches and routers from Micromax Technology are easy to configure and will seamlessly integrate into your data system to, optimising performance. B+B SmartWorx has an extensive range of sophisticated Ethernet to fibre media converters designed for every conversion requirement. Our managed and unmanaged media converters, PoE and FTTX products, mode converters, and other industrial solutions are reliable, flexible, and easy to configure and manage. With dozens of models to choose from, you’re sure to find the perfect Ethernet media converter for your specific application. B+B SmartWorx has a large selection of unmanaged media converters for LAN workgroup, campus network, outside plant, MAN, Fiber-to-the-Premises, and Fiber-to-the-Desktop applications. 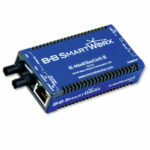 Telco products from B+B SmartWorx are some of the industry’s most advanced media conversion solutions. Enquire about fibre and Ethernet converters, repeaters, T1 over fibre solutions, line terminating equipment, and more. 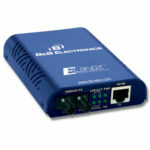 B+B SmartWorx has a large selection of managed media converters that provide superior network integration. Protect and extend signals with our Ethernet to fibre, Ethernet over VDSL, multimode to single mode, and Gigabit UTP to fibre converter solutions. Transfer both data and electrical power with our high performance, cost-effective Power over Ethernet, including Power Sourcing Equipment (PSE) and Power Draw (PD) products. Powering equipment is easy, safe, and flexible, and there is no need to plug access points into an electrical outlet. B+B SmartWorx manufacture a large selection of advanced PoE solutions including PoE gigabit media converter injectors, industrial Ethernet PD-media converters, PD-Switches and more. B+B SMartWorx fibre to the X products provide business customers and multi-tenant buildings true “end-to-end” FTTX solutions. Take your high-speed fibre connection to your desired end point with these optical Ethernet access devices, Ethernet media/mode converters, and Ethernet demarcation units. Extend your reach and easily make connections with our fibre mode converters. 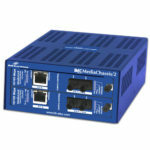 These IMC Networks Ethernet mode converters are flexible, easy-to-configure solutions for connecting fibre segments with dissimilar fibre types.